Let everyone that visits know that your furry friend is the one you love, with this "Home is where the dog runs to greet you." funny sayings Welcome Mat. You can warn guests of your best pet while bringing a smile to their face at the same time. 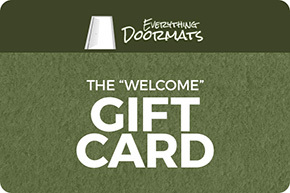 This mat was created to be used indoors or outdoors so you can display it almost anywhere.